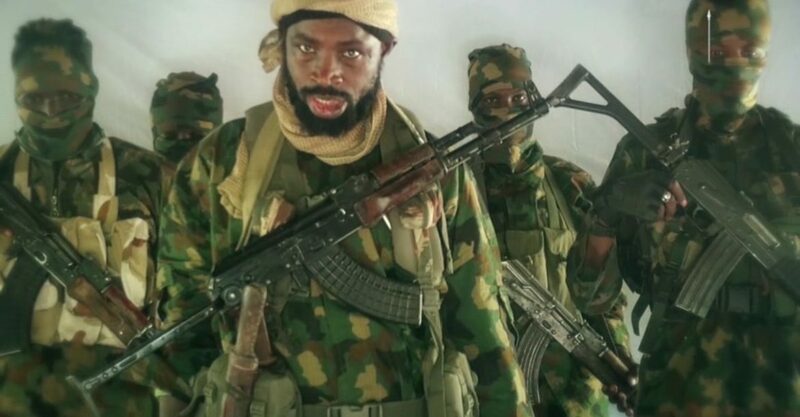 Two soldiers were killed when Boko Haram fighters believed to be loyal to faction leader Abubakar Shekau attacked a military base in northeast Nigeria, security sources told AFP on Sunday, December 9. 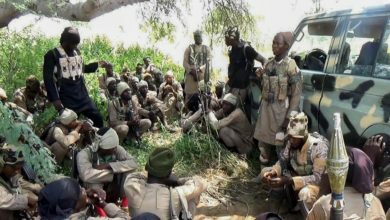 The gun and suicide bomb attack happened early Saturday evening at Gulumba village, in the Bama district of Borno state. 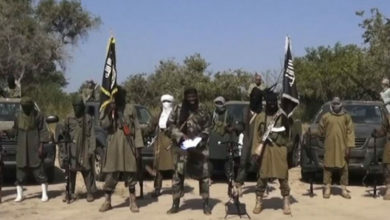 “We lost two soldiers and two more were injured in the attack by the Shekau faction,” said one military source. A second source said the suicide bomber tried to infiltrate the base but was “neutralised” by troops. He also said two soldiers were killed and two others were injured. “The terrorists faced stiff resistance and were forced to withdraw,” he added. Neither source wanted to be identified as they were not authorised to speak to the media. The use of human bombs is a hallmark of the Shekau faction, which is known to operate in the area. 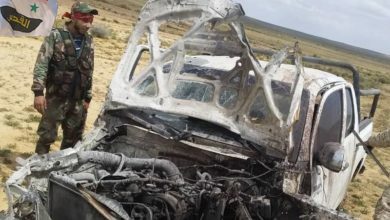 On December 2, a female suicide bomber seriously wounded five members of the Civilian Joint Task Force militia at a checkpoint in Maiduguri, capital of Borno state. A second bomber was killed in the blast before they could detonate their explosives. But attacks by fighters loyal to Shekau have reduced considerably in recent months, which sources attribute to the firebrand leader’s ill health. Boko Haram split into two factions in mid-2016 over ideological differences. One is led by Abu Mus’ab Al-Barnawi and largely focuses on attacking military and government targets, while the other, led by Abubakar Shekau, is notorious for suicide bombings and indiscriminate killings of civilians. 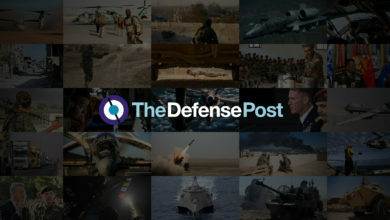 The Combatting Terrorism Center at West Point in August estimated that ISWAP could have around 3,500 fighters, while the Shekau faction could consist of up to 1,500 militants. On November 9, Shekau claimed a series of attacks in northeast Nigeria, including in Gulumba. According to AFP, Shekau displayed the Arabic logo and black flag of ISWAP in the video, possibly an attempt at reconciliation between the two factions. ISWAP has lately intensified its armed campaign, launching a number of major assaults on military targets in Borno and neighbouring Yobe state amid signs of a takeover by more hardline leaders. There have been more than 20 attacks on military bases since July, and a significant upsurge over the last fortnight. Most attacks on the military are blamed on ISWAP, or claimed as ISWAP attacks by ISIS. 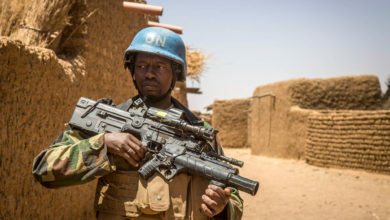 On Friday, three civilians were killed in fighting between troops and ISWAP in Jakana. On Thursday and Friday, two military bases were attacked in the Rann and Bama areas of Borno. 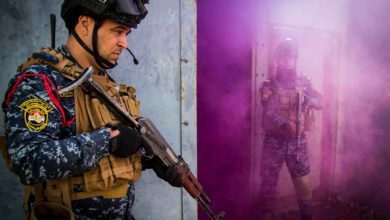 On December 4, ISWAP fighters launched an assault on a military base in Gudumbali, sparking a fierce firefight in which two soldiers were injured. 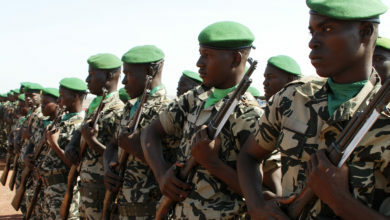 On December 3, ISWAP fighters attacked a military base in Mallam Fatori near the borders with Niger and Chad. One soldier was killed and several others were injured in the attack. On December 1, an ISWAP attack in the Yobe state village of Buni Gari left eight soldiers dead, the Nigerian army said, while ISIS claimed ISWAP fighters killed 17 soldiers. 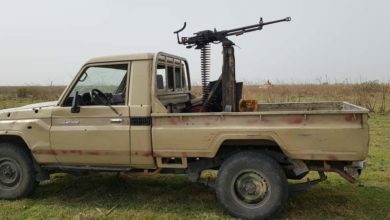 The same day, ISIS claimed ISWAP killed eight Nigerian soldiers and wounded 17 others in an attack near Gamboru in the Lake Chad area, close to the border with Cameroon. The Nigerian Army said that it captured weapons and stores during “offensive patrols” in the area, but did not mention army casualties. The attacks have increased pressure on President Muhammadu Buhari, who was elected in 2015 on a promise to defeat the Islamists and has repeatedly said they are virtually defeated. His administration wants to show it is winning the fight against Boko Haram ahead of a presidential election in February at which he will seek a second term in office. Last week, Buhari traveled to N’Djamena to meet leaders from Chad, Niger and Cameroon to discuss how to deal with the surge in violence.